Residential septic tank pumping is an essential part of the septic system maintenance. It is something that should be performed every 3 to 5 years. Residential septic tank pumping is important because the wastes from your home are broken down within the tank, which eventually bring the need to get it cleaned out. 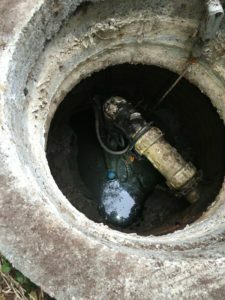 With regular residential septic tank pumping, homeowners in Everett, WA can not only save money on septic repair costs in the long run, but can also prevent health risks. While we do recommend pumping your septic tank every 3 to 5 years, the frequency will also depend on system usage and size. An overflowing septic tank can contaminate ground and surface water and your yard with bacteria. That is why you must seek routine commercial septic tank cleaning service in Everett. The last thing any commercial property owner or manager wants to deal with is an issue with their septic system. We understand the importance of a properly functioning septic system, and have the industry experience and knowledge to provide you with quick and friendly residential or commercial septic tank cleaning and repair service in Everett. We arrive on time, listen to your needs and determine the best possible action. We are at your disposal in getting your septic system back on track. We also offer emergency services to any customer who is currently facing a septic system emergency. Available 24 hours a day, seven days a week, our technicians can meet your residential or commercial septic tank cleaning needs, quickly and reliably. For commercial or residential septic tank pumping & cleaning in Everett, call VAC-TEC LLC at (206) 339-0039.